Blending Hollywood pretty boys with hard-nosed hockey players proved to be a winning formula for 'Youngblood.' Thirty years later, this cult classic still stands the test of time. If you were born before 1980, chances are Youngblood is one of your favorite hockey movies after Slap Shot. Heck, it might even be your favorite. 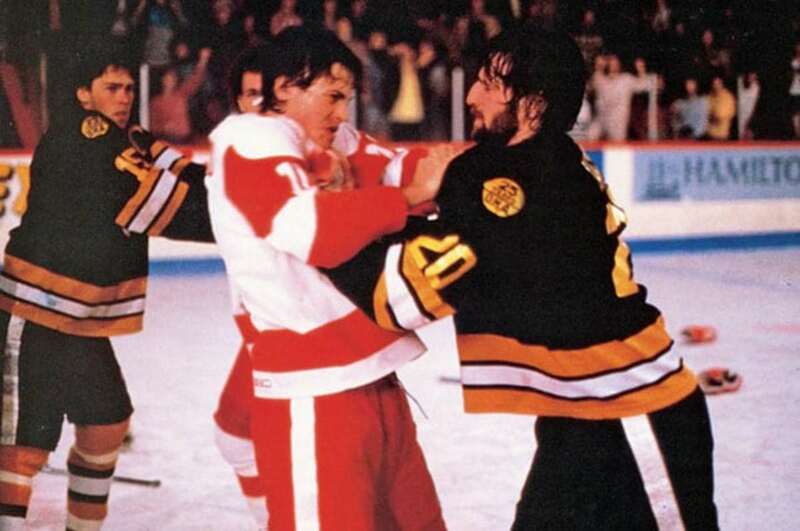 Whereas the 1977 comedy lampooned hockey’s violence, 1986’s Youngblood portrayed it as a necessary part of the game, while also highlighting hockey’s grace and skill. The film stars Rob Lowe as Dean Youngblood, who leaves his family farm in upstate New York to play junior hockey for the Hamilton Mustangs. Although he can skate and score, he can’t fight. He tries to fit in with his teammates, woos his coach’s daughter and in the end has to stand up to the league’s biggest bully. Thirty years later, Youngblood stands tall as one of hockey’s cult classics. Adding to its realism were the people involved in the film. 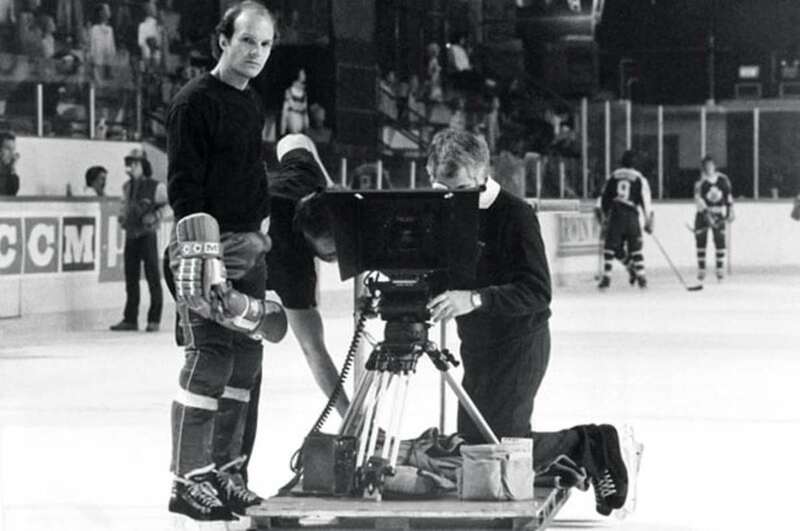 Writer and director Peter Markle was a former minor-pro and international player for the U.S.. Cinematographer Mark Irwin donned skates and a helmet and devised a special rig to shoot the movie on ice. Eric Nesterenko, who played 20 seasons in the NHL, was the film’s hockey consultant and also played Dean Youngblood’s dad, Blane. George Finn, who portrayed nemesis Carl Racki, was a former OHL enforcer. Most of the players in the film, such as Steve Thomas, Don Biggs, Peter Zezel and James Richmond, were OHL or NCAA players at the time. Thomas and Zezel went on to lengthy NHL careers. THN reached out to Lowe, but he declined the opportunity to talk. No matter. Lowe might have been the pretty face in front of the camera, but so many people worked hard to make him look good. This is their story. After two successful films, Markle decided he wanted to make a hockey movie. MGM green-lit Youngblood . First, though, Markle had to assemble a cast and crew. PETER MARKLE, WRITER & DIRECTOR: I wrote Youngblood, and my agent gave it to producer Peter Guber at MGM, who played club hockey. He liked the script, and we had a lot of actors interested in it. We had it cast up pretty quickly. MARK IRWIN, CINEMATOGRAPHER: When producers would come to Toronto, in those days, you actually had to apply to work on a film. The night before my interview, there was this giant blizzard. On Thursday morning, there was four feet of snow, and the whole city was shut down. No one called me to cancel the meeting. I couldn’t drive there, because they hadn’t plowed the streets. So I walked in the snowdrifts, which were up to my waist. I got to the meeting and nobody was in the whole building except for Peter, (associate producer) Mark Allan and myself. I got the gig because of that meeting but also because Peter was impressed that I braved the snow. MARKLE: A really good friend of mine skied all the time in Vail, Colo. He became pretty close to Eric Nesterenko, who taught ski lessons. I was working on the project, looking for someone to play Youngblood’s dad, and my friend suggested Nesterenko as the dad and as my hockey consultant. Youngblood featured a lot of up-and-coming actors. Lowe was cast in the lead role, while Patrick Swayze played Derek Sutton, the Mustangs’ captain and star center. Even Keanu Reeves appears in the movie (his second film role), as Heaver, one of the Mustangs’ goalies. While Reeves actually played hockey growing up, Swayze and Lowe needed doubles to do a lot of their on-ice work. ERIC NESTERENKO, HOCKEY CO-ORDINATOR & “BLANE YOUNGBLOOD”: Swayze wasn’t a bad skater, but Lowe couldn’t skate, so we set him up with a figure skater. She got him to stand on his skates and go from Point A to Point B without looking too bad. They basically shot him from the waist up. MARKLE: We had a couple doubles for Rob: Scott MacPherson and Randy Walker. Scott was a fantastic player, totally ambidextrous. Randy didn’t shoot the same way as Rob, but he was a perfect-looking double. Scotty could shoot both ways, and that helped. DON BIGGS, PATRICK SWAYZE’S HOCKEY DOUBLE: Patrick and I had to tape our skates, shin pads and stick blades the same so that they didn’t miss a beat when they flipped from me to him. JAMES RICHMOND, BOMBERS CAPTAIN “STORDAHL”: It was the best summer job I ever had. Patrick Swayze and I got pretty close during the filming. We’d go for dinner or to get a couple drinks. He’d come over to visit my mom and dad, and we hung out a few times when we weren’t shooting. STEVE THOMAS, MUSTANGS PLAYER “JORDE”: Keanu was a heck of a goalie. He knew what he was doing out there. He hung out with the players. We played cards together. He was a lot of fun. Every good movie needs a great villain, and Finn fit the bill. Like Racki, Finn was an enforcer who could also score. He played in the OHL against Thomas, Biggs and many of the other players cast in Youngblood , but he almost didn’t become one of hockey’s most popular bad guys. GEORGE FINN, “CARL RACKI”: My agent told me that they were looking for a villain for a hockey film. I said no at first. But then I thought about it and ended up auditioning. Once I got there, I felt really good about it. I read some lines, and Peter Markle and (producer) Pat Wells actually liked me. MARKLE: George was a decent player in junior. Casting brought him in. I loved his look, and he handled the part well. He never acted before in his life, and I thought he did a really great job. IRWIN: George was a really nice guy, as is usually the case. The worst guys are portrayed by the nicest people. The villain is always a great guy. 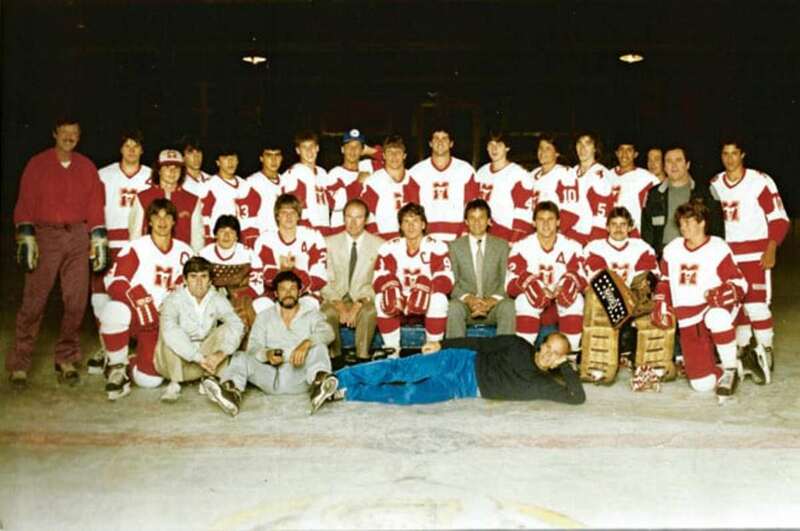 The hockey scenes for Youngblood were shot at three Toronto rinks over the summer of 1984. Filming hockey is difficult. You need to co-ordinate players, navigate expensive cameras around the ice and have enough people in the stands to make it look like a real game. IRWIN: We shot the hockey action in slow motion, at 32 frames per second, because 24 frames per second looked over-cranked, like an old silent Buster Keaton film. NESTERENKO: The action scenes on the ice had to be choreographed. It really helps to have somebody who understands what the plays should look like. Real plays. Markle was pretty busy running the whole film, so he wanted somebody to organize the play on the ice. It was fun being the smart guy on the set, as far as hockey’s concerned, and it was a good experience. IRWIN: We tried shooting from a wheelchair. It worked fine, but we ended up designing and manufacturing dollies with vibration isolators. We made actual skate blades for the dollies so that we could put the dolly on the ice and drive it around. It worked real well. BIGGS: We were working on one play for maybe three hours, over and over again. I had to put the puck through my skates, back onto my stick and then come in on the goalie and throw it top shelf. Then we changed the area the fans were sitting, and did it again. Then I went through a stage where I missed a bunch of times, so it took quite a while. Then we were ready for Patrick, who was out there for four or five minutes. He skated behind the net, put his hands in the air and was done for the day. IRWIN: We had around 100 extras every day. We’d jam them together for tight stuff around the benches on both teams. But when we got to the skating, we’d see this whole side of the arena, which was empty. A hundred people wouldn’t fill it. You’d need 400 or more. So the prop guys, wardrobe and myself built these scarecrows out of wooden T-shaped frames with a Styrofoam head, painted flesh color. We’d put a shirt or jacket or whatever on it, and the sleeves would be safety-pinned to the sleeves of the extras. So when one person waved or shook his arms, the scarecrow people would do the same thing. It worked great. THOMAS: We were putting our gear on for a scene, and Rob Lowe had the wardrobe people getting him dressed and tying his skates. We just looked at each other, thinking, “Oh my god, he can’t even tie his skates. Come on, seriously?” Then the following day, Lowe was putting on his own equipment. He didn’t have the wardrobe people around him all the time, doing the little things and tying his skates after we started to heckle him a little bit. MARKLE: We had a local actor, Peter Faussett, who played Huey Hewitt. He was a decent player, but he wasn’t a junior. Eric got pissed because Peter didn’t do a drill properly, so he took a slap shot from center ice and came two inches from hitting Peter right in the head. Oh my god! I’m glad it didn’t hit him, but it got a laugh from the crew and players. RICHMOND: Instead of having a lunch break, because we could eat anytime, we’d have a pickup game. Some guys were pretty high level, so those games would get pretty serious sometimes. The makeup people would get ticked off because guys would be drenched in sweat after these games. And if you were doing the same scene as you did before lunch, you looked different. The Mustangs square off against the Thunder Bay Bombers, the toughest team in juniors, for the championship series. In the first period, a bench-clearing brawl ensues after Racki decks the Mustangs’ goalie. RICHMOND: The Bombers were the goon squad. We weren’t supposed to smile. We were told to look angry or mean on the ice. THOMAS: That was so much fun. It was mock fighting, but it looked like a real brawl. Guys were pushing and shoving each other. I loved it. They paired us off, and then we just jostled each other. Some guys would get into it a little bit more, and then it would escalate. I don’t know how many takes they did, but it was really tiring. RICHMOND: In the big fight scene, I was paired up with Swayze. In one shot, he actually connected with a punch and got me right under the eye. That was pretty funny. And then he ended up kissing the linesman when he’s breaking us up. Swayze adlibbed that. It wasn’t scripted, and they put that take in the movie. We got a good chuckle out of that. In the story’s nadir, Racki slew-foots Sutton, who hits his head on the ice and is hospitalized. BIGGS: The stunt team had me a harness, with a blood pack on the back of my head. When George would kick out my feet, they’d yank the rope, and I’d go up on the harness. You put it all together, and it looked realistic. THOMAS: If someone were to do that in a game, back in the era when I played, that guy wouldn’t be alive. If that happened in a real game, there’d be problems. In the final game between the Mustangs and the Bombers, Youngblood scores a hat trick, including the winning goal on a penalty shot. But his work isn’t done. For this hero’s journey to be complete, Youngblood needs to stand up to Racki. MARKLE: That was the last scene we shot. I was just trying to choreograph something that looked semi-realistic. It was mayhem, just like any scene that involves shooting two or more people. In this case, it was two teams, and we had to finish it by midnight due to budget constraints. IRWIN: We were determined to break the record for most shots in a day. We did 128 shots over 14 hours. Youngblood hit theaters in 1986. Made on a $4.2 million budget, it grossed $15.4 million in U.S. theaters. The movie became a popular rental on VHS and was aired regularly on cable TV. Even in the late 2000s, a PG-rated edit of Youngblood was shown in the U.S. during the NHL playoffs when a series ended early. BIGGS: When they first put Youngblood out on VHS, on the back there was a picture of Youngblood and Sutton laughing. But it was actually me with Rob Lowe. They had to pull it and change the cover. THOMAS: I still get ribbed for that scene where I’m doing the leg press and get snapped with a towel. I was in good shape back then. Looking in the mirror these days, I looked a lot better then. IRWIN: I shot The Mighty Ducks 2 as well, so we evolved the dollies that we built in 1984 for Youngblood. MARKLE: I sent the masks used in Youngblood, the pucks with the Mustangs’ logo, the script and a bunch of photos to the Hockey Hall of Fame. They were really excited to get it all. FINN: I was at a graduation party recently, and somebody came up to me and said, “Do you want to go, pretty boy?” I get that everywhere. RICHMOND: I played in Denmark for a few seasons. My teammates there loved Youngblood and used to watch it all the time. They thought it was the best thing in the world that I was in it. So the next year, when I came back, I gave one of my teammates my Stordahl jersey. NESTERENKO: I didn’t realize, but when you’re together for two or three months, a real camaraderie really builds up among the film crew, the actors and all the people who are brought together to make the film. I really enjoyed that. Sal Barry is a contributing writer for The Hockey News and runs the hockey collectibles and culture blog Puck Junk. Follow him on Twitter @puckjunk. This is an edited version of a feature that appeared in the August 15 edition of The Hockey News magazine. Get in-depth features like this one, and much more, by subscribing now.